On Wednesday, November 14th 2017, English Language Education Department of UMY (ELED UMY) hosts a guest lecture as part of the Listening and Speaking for Formal Setting class. As many as 210 students of the 2017 batch who took said class attended the guest lecture. 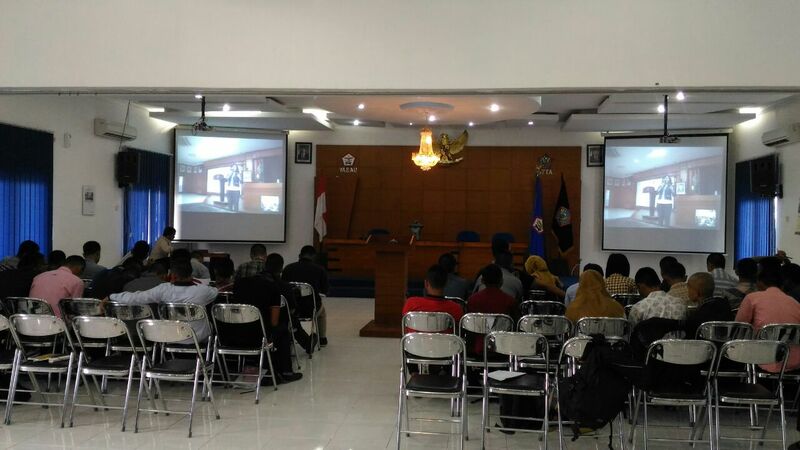 In addition, 62 students of Sekolah Tinggi Teknologi Adisujipto (STTA) also attended said lecture through video conference as part of the 2017 SPADA online lecture. The guest lecture is one of ELED teaching and learning activities done by inviting speakers whose expertise and experience can enrich the students’ perception and knowledge. The speaker is an expert practitioner in the field of the lecture’s theme. The guest lecture is done for one meeting with a maximum of two speakers for each class. 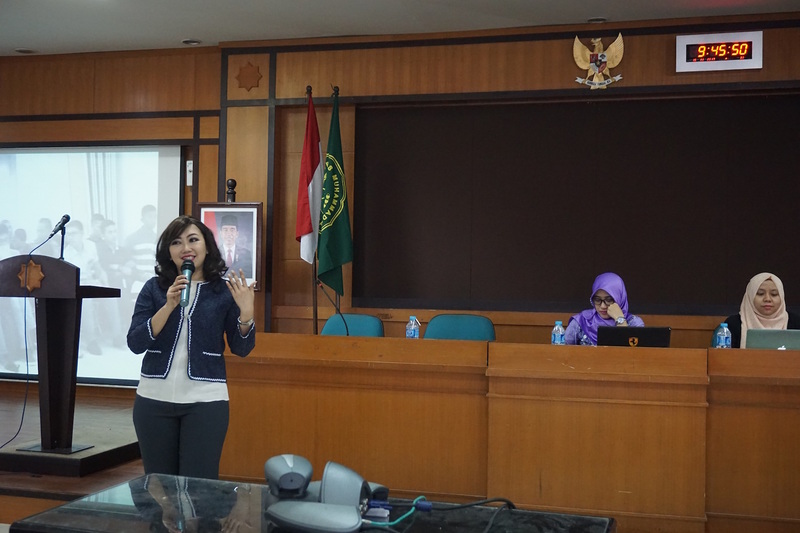 The speaker attending said guest lecture is Siwi Lungit, an experienced emcee and a host at TVRI Yogyakarta. On the guest lecture that lasted two hours, the 15-year veteran of emcee and public speaking shared her experiences. On said occasion, Mrs. Lungit explains the details of being an emcee in formal events like the differences between hosting English and Indonesian events, how to greet the audience especially in Indonesian, and the vocabulary often used in the profession. In addition, the expert also explains how to face cultural differences and how to get over your nervousness. In the guest lecture, several students get to try becoming an emcee with feedback given after their performances.